Diabetes can damage a number of organs, from the eyes to the kidneys and the heart. Now there’s evidence that unchecked blood sugar can affect the brain as well, which may lead to drops in cognitive functions. When blood sugar levels start to climb in diabetes, a number of body systems are harmed and that list includes the brain, since studies have linked diabetes with a higher risk of stroke and dementia. Your brain is a finely tuned organ. It’s sensitive to the amount of sugar, or glucose, it receives as fuel. Whether you have type 1 or type 2 diabetes, both the high blood glucose of uncontrolled diabetes and the low blood glucose that sometimes comes with diabetes treatment can affect your brain. 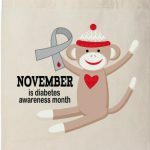 Some of diabetes’ effects on the brain aren’t obvious right away, especially when they are related to high blood sugar. The human brain is ultimately responsible for all thought and movement that the body produces. This allows humans to successfully interact with their environment, by communicating with others and interacting with inanimate objects near them. If the brain is not functioning properly, the ability to move, generate accurate sensory information or speak and understand language can be damaged as well. The brain is made up of nerve cells which interact with the rest of the body through the spinal cord and nervous system. These cells relate information back to specific centers of the brain where it can be processed and an appropriate reaction can be generated. Several chemicals are also located in the brain, which help the body maintain homeostasis, or a sense of overall comfort and calm as its basic needs are met. Keeping these chemicals balanced and the nerve cells firing properly are essential to healthy brain function. The cerebrum is the largest portion of the brain, and contains tools which are responsible for most of the brain’s function. It is divided into four sections: the temporal lobe, the occipital lobe, parietal lobe and frontal lobe. The cerebrum is divided into a right and left hemisphere which are connected by axons that relay messages from one to the other. This matter is made of nerve cells which carry signals between the organ and the nerve cells which run through the body. Frontal Lobe: The frontal lobe is one of four lobes in the cerebral hemisphere. This lobe controls several elements including creative thought, problem solving, intellect, judgment, behavior, attention, abstract thinking, physical reactions, muscle movements, coordinated movements, smell and personality. Parietal Lobe:Located in the cerebral hemisphere, this lobe focuses on comprehension. Visual functions, language, reading, internal stimuli, tactile sensation and sensory comprehension will be monitored here. Sensory Cortex– The sensory cortex, located in the front portion of the parietal lobe, receives information relayed from the spinal cord regarding the position of various body parts and how they are moving. This middle area of the brain can also be used to relay information from the sense of touch, including pain or pressure which is affecting different portions of the body. Motor Cortex– This helps the brain monitor and control movement throughout the body. It is located in the top, middle portion of the brain. Temporal Lobe: The temporal lobe controls visual and auditory memories. It includes areas that help manage some speech and hearing capabilities, behavioral elements, and language. It is located in the cerebral hemisphere. Wernicke’s Area– This portion of the temporal lobe is formed around the auditory cortex. While scientists have a limited understanding of the function of this area, it is known that it helps the body formulate or understand speech. Occipital Lobe: The optical lobe is located in the cerebral hemisphere in the back of the head. It helps to control vision. Broca’s Area– This area of the brain controls the facial neurons as well as the understanding of speech and language. It is located in the triangular and opercular section of the inferior frontal gyrus. This is commonly referred to as “the little brain,” and is considered to be older than the cerebrum on the evolutionary scale. The cerebellum controls essential body functions such as balance, posture and coordination, allowing humans to move properly and maintain their structure. Amygdala:The amygdala helps the body responds to emotions, memories and fear. It is a large portion of the telencephalon, located within the temporal lobe which can be seen from the surface of the brain. This visible bulge is known as the uncus. Hippocampus: This portion of the brain is used for learning memory, specifically converting temporary memories into permanent memories which can be stored within the brain. The hippocampus also helps people analyze and remember spatial relationships, allowing for accurate movements. This portion of the brain is located in the cerebral hemisphere. Hypothalamus:The hypothalamus region of the brain controls mood, thirst, hunger and temperature. It also contains glands which control the hormonal processes throughout the body. Thalamus:The Thalamus is located in the center of the brain. It helps to control the attention span, sensing pain and monitors input that moves in and out of the brain to keep track of the sensations the body is feeling. All basic life functions originate in the brain stem, including heartbeat, blood pressure and breathing. In humans, this area contains the medulla, midbrain and pons. This is commonly referred to as the simplest part of the brain, as most creatures on the evolutionary scale have some form of brain creation that resembles the brain stem. The brain stem consists of midbrain, pons and medulla. Midbrain:The midbrain, also known as the mesencephalon is made up of the tegmentum and tectum. These parts of the brain help regulate body movement, vision and hearing. The anterior portion of the midbrain contains the cerebral peduncle which contains the axons that transfer messages from the cerebral cortex down the brain stem, which allows voluntary motor function to take place. Pons: This portion of the metencephalon is located in the hindbrain, and links to the cerebellum to help with posture and movement. It interprets information that is used in sensory analysis or motor control. The pons also creates the level of consciousness necessary for sleep. Medulla: The medulla or medulla oblongata is an essential portion of the brain stem which maintains vital body functions such as the heart rate and breathing. The skull helps to protect us from external blows which could damage brain cells. The blood-brain barrier is a membrane which protects the brain from any harmful pathogens that may be present in the blood. The brain requires nutrients, however, such as oxygen and glucose, so the blood-brain plays an important role in enabling good nutrients in and keeping harmful cells away. Cognitive Impairment refers to changes in memory, mood swings, perception, reaction times, attention, and concentration. Both type 1 and type 2 diabetes have been associated with reduced performance on numerous domains of cognitive function. Both diseases are related specifically to slowing of mental processing speed, psycho-motor speed,diminished mental flexibility and attention. In Type 2 learning and memory problems are often noted but less so in Type 1 diabetes. The magnitude of the cognitive deficits is mild to moderate, but even mild forms of cognitive dysfunction might hamper everyday activities since they can be expected to present problems in more demanding situations. It has been reported that Alzheimer’s disease and vascular dementia are more frequent in diabetic patients than in non-diabetic persons. The presence of neuropathy and retinopathy in diabetics is associated with impaired cognitive ability. This doesn’t mean that everyone with diabetes will have reduced cognitive ability but statistically, the risk of cognitive impairment is higher. Alzheimer’s disease is a devastating neurological condition that slowly but inexorably destroys the ability to think, eventually robbing a person of both his memory and ability to function independently. Alzheimer’s delivers a crushing blow not only to the affected individual, but also to family members, who frequently struggle to provide the ever-growing levels of care required by the patient. Swedish scientists unveiled findings associating diabetes with an increased risk of developing dementia and Alzheimer’s, particularly in those with very high blood pressure. Scientists also discovered that diabetics with very poor blood sugar control were more likely to develop dementia. Compared to those with normal glycosylated hemoglobin levels (< 7), those with levels greater than 12 were 22% more likely to develop dementia, while those with levels greater than 15 were 78% more likely to develop dementia. According to the study , effective blood sugar control may lower risk of another diabetes-associated complication—dementia. By reducing your risk of diabetes, you can reduce your risk of Alzheimer’s disease. I didn’t realize diabetes affected the brain in these ways. I’m fortunate to have sugar levels in the normal range so I’ve never really been worried about diabetes but I have more and more friends that, as they get older, are being diagnosed with it. I thought it mainly was causing poor circulation in arms and legs but affecting cognitive function is even scarier…I really didn’t know much about the disease after all. I’m worried that with all the processed foods and sugary drinks we consume things like diabetes will become more common. And we tend to sit on our bums and watch TV or stare at our computers and phones instead of moving around and getting exercise. Thanks for the information and I love the look of your site. Very informative and easy to navigate. Thanks for all the positive comments about this site. The modern diet is one of the main reasons why people all over the world are fatter and sicker than ever before. Research studies are clear on this, when people abandon their traditional foods in favour of modern processed foods high in sugar, refined flour and unhealthy oils, they get chronic diseases like obesity, type 2 diabetes and heart disease. Of course, there are many things that can contribute to these health problems, but unhealthy diets and lack of exercise are the most common factors. A healthy diet and regular physical activity helps lower blood pressure, keeps cholesterol at a healthy level, prevents blood clotting, maintains a healthy weight and controls blood sugar levels.